Every estate plan needs a good helper(s). Choosing helpers can be really tough. These people will be responsible for making decisions when you can’t make them for yourself. A power of attorney for healthcare will allow someone to help you make a variety of decisions related to medical issues like treatments, surgeries, end of life decisions, living arrangements, and how to get the best care as you age. How old should the person be? 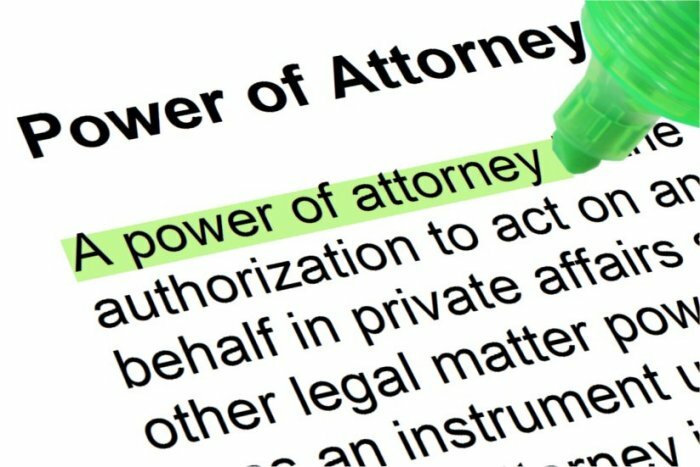 A power of attorney must be at least 18 years old because minor children are not legally allowed in this role. If you are considering younger adult children or family members, maybe in their 20s, it will depend on that person and their maturity level. Are they old enough or mature enough to handle these tough, and oftentimes weighty, decisions? Do you have ongoing health issues that family members are aware of? If a child has helped you face a chronic health issues for years, they may have a better understanding of the decisions you might face, and a better understanding of the decisions you would make for yourself. Who goes with you to the doctor? The person who most often attends doctor appointments, or takes you to appointments right now, might be a good choice for your healthcare power of attorney. Do you live near your children or other potential powers of attorney? If they live far away, that may make it more difficult for them to make informed and timely decisions on your behalf. If you are considering your spouse, is he or she facing any of their own health issues or memory issues? If so, will they be equipped to focus and be capable of clear thinking when faced with an important decision? What type of person will make the best medical decisions? Do you want someone who is compassionate? Most of us do, but what other traits might be important? Sometimes compassion is not enough. If a person tends to become emotional and overwhelmed in stressful situations, will they be able to make tough decisions in a timely fashion when needed? Sometimes a delayed decision or a lack of a decision can result in a situation you would have wanted to avoid — such as your life being prolonged artificially. Is the person able to be a peacemaker and consider other’s feelings and concerns in making the decision? Whether you choose your spouse, your child or another person as the healthcare POA, others can be included in the decision-making process. If your power of attorney is caring and works well with others, then they are more likely to value the input of others. Will your healthcare agent be able to do what they think is right, even if others strongly disagree? For instance, if your spouse knows exactly what you want done, will they be able to follow through even if your kids disagree? A person who is easily influenced by others may not be the best option as power of attorney. Can they be a good advocate for you? Good medical care often requires the patient or the power of attorney to ask good questions. It’s also helpful for your helper to be proactive in seeking out the proper treatment or course of action. Someone who passively says, “OK” to everything the doctor says may not be what you need. We help families choose good helpers everyday. This is a difficult decision and one of the most important you’ll ever make. You don’t have to do it alone. We can help guide you through the process of deciding who is best. While you’ll only do this once in your lifetime (or maybe twice), we’ve helped hundreds of families through this process since our firm started in 2008. We’ve seen A LOT over the years and gained wisdom from the families we’ve helped. Give us a call at 217-726-9200 if you would like guidance in choosing good helpers for your plan. We’re always happy to help!